Hi everyone! This is the first of my NYFW round-up posts, covering some of my favorite collections from yesterdays runways, presentations, and the photo galleries. 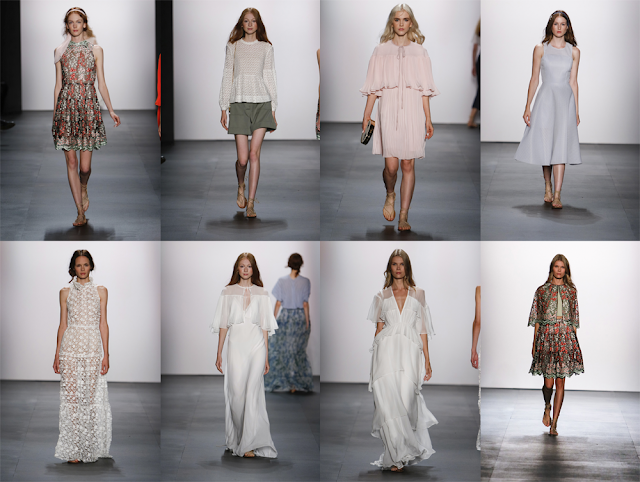 I am not going to lie, I was very underwhelmed and unimpressed by the BCBG Max Azria show. Their fall collection was one of my favorite collections from February, so to see entire looks that I wasn't impressed with was a but disappoint. However, I really did enjoy look the looks above. I liked some separate pieces, but the overall styling was too bohemian. And I was really off put by the bucket hats, but that was a personal preference. I thought Creatures of the Wind used floral in such a unique way, especially in the incorporation of primary colored flowers over the black and white print in look nine. 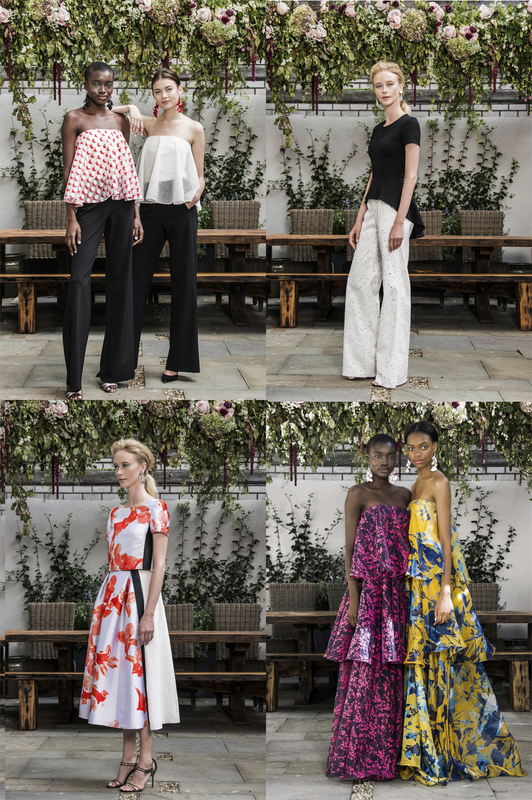 The Moorish theme of Derek Lam 10 Crosby was extremely prevalent in the rich colors of the fabrics. I especially lovely the black embroidered motif through some of the looks. It really accentuated the inspiration behind the collection. I am not joking when I say that I would wear every single look from Erin Fetherston's collection if given the opportunity. I was so in love with every look. The looks were simple and so, so elegant. You can tell from just the pictures that each move with such grace. And the fabric in looks 2 and 26? GIMME GIMME. 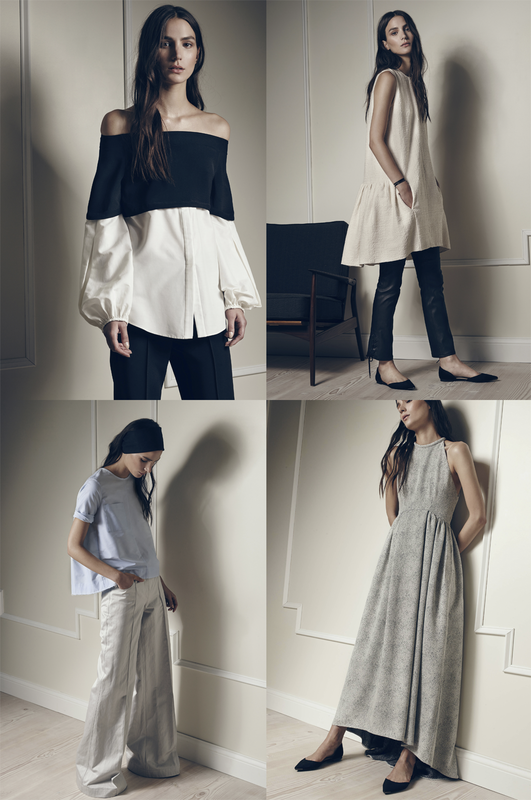 Hellesey's spring collection looks like a fall collection, but there's just something about carrying on fall colors into spring silhouettes that makes me so stoked. I love the neutrals with pops of cranberry, the satin and textured fabrics. I like the oversized feel in the looks above as well! It's a nice silhouette for spring! ICB's collection gave me a sporty vibe like Lacoste, just with a bit more style. I loved the pleats and neutral palette. There were some great cut-outs and FEATHERS, GUYS. THERE WERE FEATHERS!!!! Lisa Perry's collection was full of bright colors and clean lines. It had a sort of pop art feel, which really amped up the otherwise simp garments. Along with Erin Fetherston's collection, I'm fairly certain that I would wear every single look from M Missoni. The colors and and patterns for this collection were out of this world. I love the color schemes and the mixed patterns in the styling. Sachin & Babi made me want to yell GIVE ME ALL OF THE FLORAL. I don't care if florals for spring isn't groundbreaking (LOVE YOU, THE DEVIL WEARS PRADA), it's timeless and I will never get sick of seeing it. The See by Chloé selection was like 90s elementary school fashion meets boho chic and I am all for it. Do you see that butterfly belt in look five? Incredible. 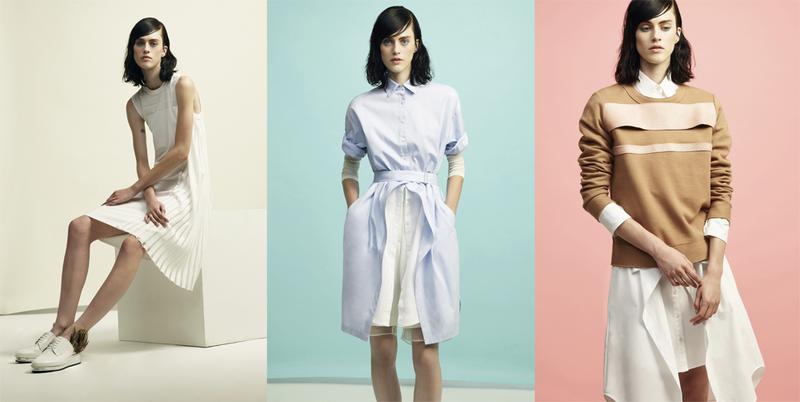 The gauzy fabrics, pastels, and denim are the perfect spring feel. And last but not least, we have the ever so dreamy Tadashi Shoji collection. This collection was so dreamy and whimsical. The subdued palette and color under sheer overlays were an incredible way to add some interest to each piece. 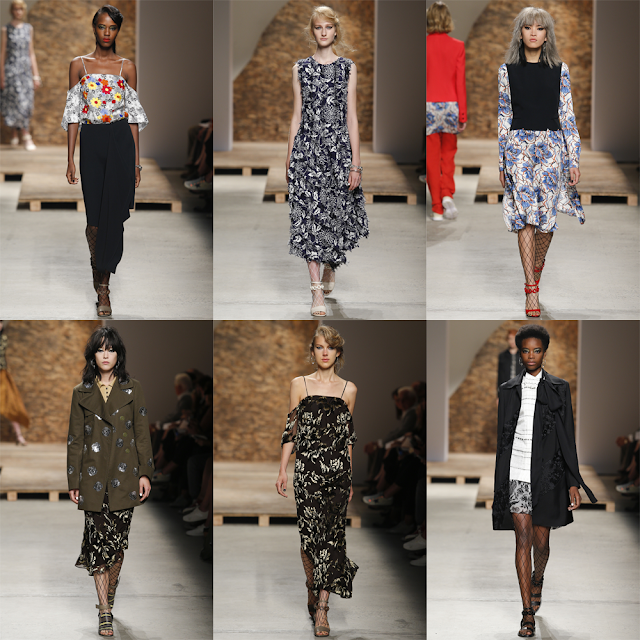 What were your favorite looks from day one of NYFW?